A&A Coatings has a range of specialized thermal spray coating solutions to help protect solar energy equipment. Our primary aim is to protect these highly complex sets of equipment from damage and hazards. 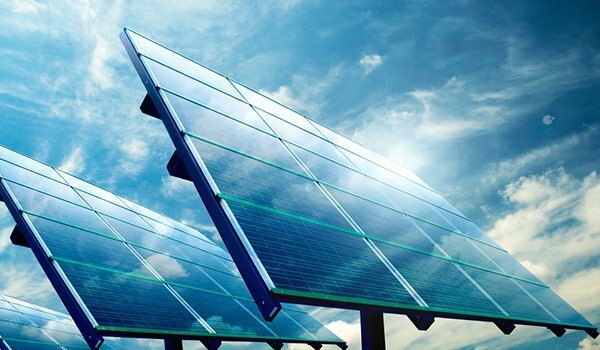 Due to our 7-decade long materials engineering experience, we have developed technical and infrastructural capabilities to develop superior coating solutions that are effective in maximizing protection and facilitating peak performance for solar energy equipment and their components. It is a scientifically proven fact that oxide ceramics and other coating materials from the same class can provide excellent insulating properties for various electronic components, which is why this type of coating solutions is high in demand across many solar plants. We produce coatings with 100 volts per millimeter dielectric strength. On the other hand, electrical conductivity can also be attained through a range of specialized coating solutions. For solar plant applications that are exposed to higher temperature, we use coating materials such as iron-chrome-aluminum, molybdenum-disilicide and etc. to provide strong protection properties. We use a wide range of custom-blended materials for meeting the varied needs of solar plant equipment protection. For example, we use metal alloys, pure metals, metal oxides, and a range of other thermal spray materials for emissive coatings. Our thermal barrier coating solutions are also highly effective in protecting solar plant equipment from wear and corrosion possibilities. One of the most sought after services at A&A Coatings is EMI/RFI shielding coatings. A range of metallic coating solutions have been proven highly effective in protecting solar energy equipment against Radio Frequency Interference (RFI) and Electromagnetic Interference (EMI). A&A Coatings takes pride in the fact that we have serviced many solar energy related businesses over the last 70 years and we are highly sought after for our strong industry experience. We are highly committed to building long-term partnerships with our solar energy clients and that is why we have always impressed with quick turnaround times and competitive pricing. Do send us an inquiry today to know more about the specialized solutions we offer for the solar energy industry.